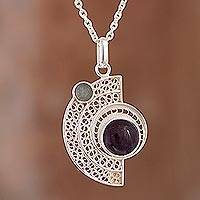 Love wearing Cocoa Pods earring with a necklace by the same designer. 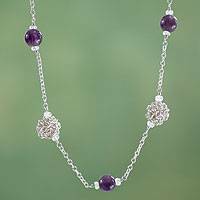 The necklace has amethyst beads and sterling silver that looks like sea shells. 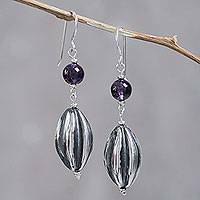 The Cocoa Pods earring are extremely flattering and ae much more impressive that the photo. 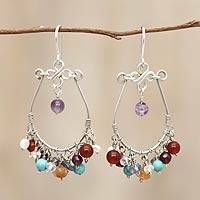 These are truly stunning earrings that draw compliments whenever I wear them. 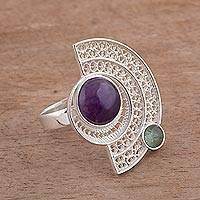 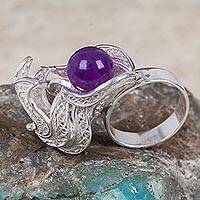 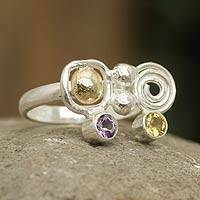 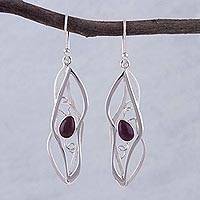 They are both delicate and dynamic -- and the amethyst a perfect stone to center all the elements.